Memorial Day – The Path of The Warrior – I respectfully ask you all to turn up your sound and watch this heartfelt 6 minute youtube video, if not today, on Memorial Day. In the spring of 1846 the United States once again found itself at war. But fact of the matter was that this war had actually begun 10 years earlier when in 1836 the Texicans had won their independence from Mexico and established the Republic of Texas. The Proud Mexican People never really agreed to this forced partitioning of their country and after a decade of tenuous relations along the Rio Grande, their words of disagreement were replaced by hot lead. 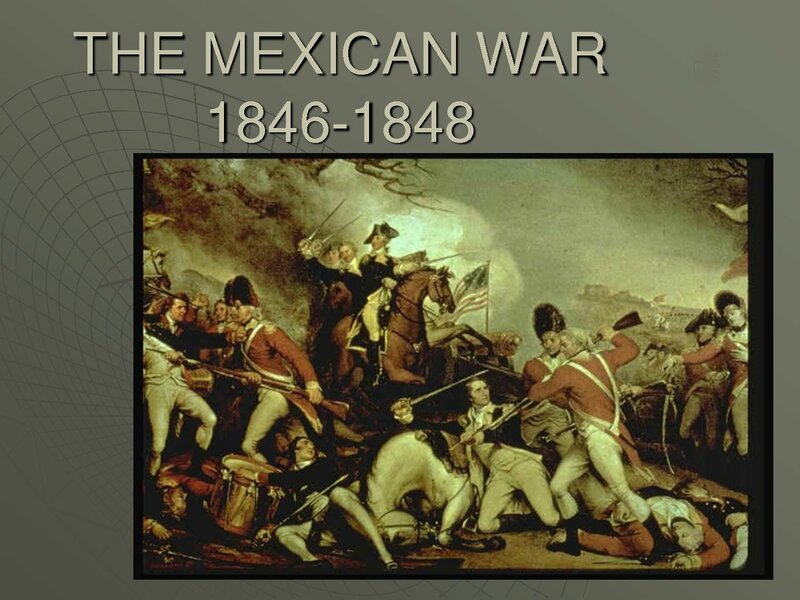 One of first decisive battles of what came to be known as “The Mexican War” occurred near a small village called Resaca de la Palma which exists today, just north of the Rio Grande. So join me as we mount our horses, draw sabers and “charge through the line of enemy infantry” that dares to deny us our manifest destiny. With its emphasis on its enlisted troops and its creed that every Marine is a rifleman, the Marine Corps is the military service that keeps the smallest ratio of brass to troops. But for a brief moment —actually only until Wednesday—there are, for the first time, six four-star generals in the Corps. 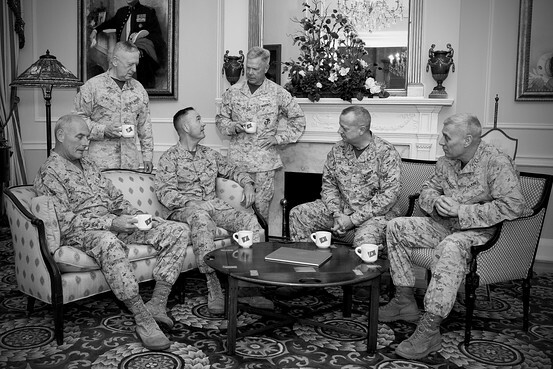 Earlier this month [April 19], the officers gathered at the Home of the Commandants at the Marine Barracks Washington, the only time six active-duty four star generals have gathered together, according to the service. Except for a handful of five-star admirals and generals in American history, four-stars is the highest attainable rank in the military. And for the Marines it is unusual to have four or five, much less six. The Corps thinks of the gathering as historic. But for the generals, the April get-together was simply a reunion of a group of men who have worked with each other and off for four decades. The Marine Corps can count on having two four stars at any one time: the commandant, currently Gen. James Amos, and the assistant commandant, currently Gen. John Paxton. In addition, the Marines currently have four joint force billets: the current and former Afghanistan commanders, Gen. Joseph Dunford and Gen. John Allen, the head of Southern Command, Gen. John Kelly, and the former head of Central Command, Gen. Mattis. With Gen. Mattis due to take off his uniform in June and Gen. Allen formally retiring this week, the time of six four stars won’t last long. And with the entire military poised to shrink with continuing budget cuts, it may not happen again for a long while. You are currently browsing the Daniel D. Eubank's Blog blog archives for May, 2013.